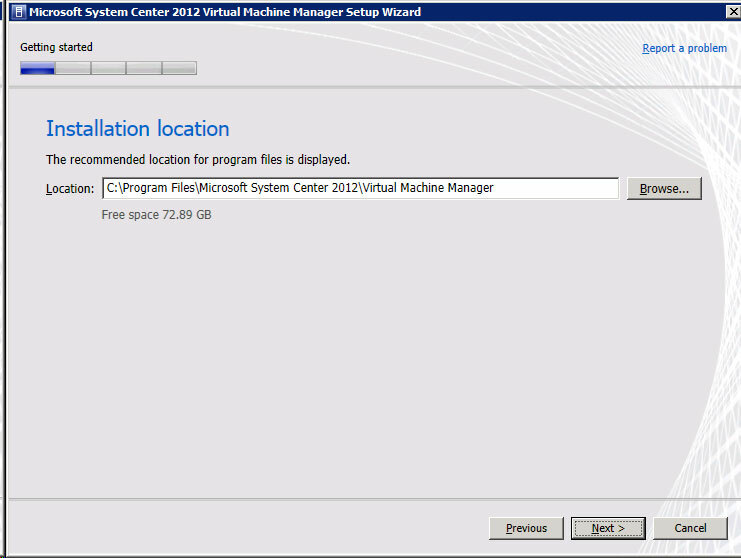 I though I would do a quick blog to recount my adventures with “Updating System Center VMM 2008 R2 to System Center VMM 2012”. 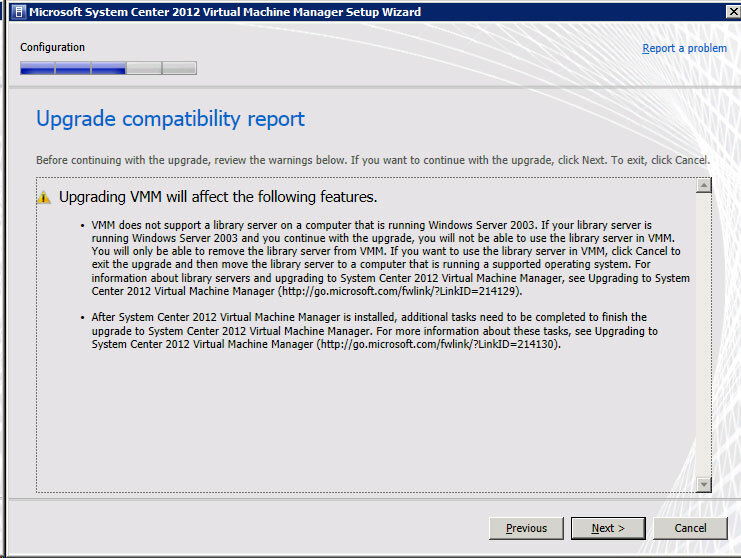 The big problem I had here is that our existing System Center VMM 2008 R2 was running on SQL Server 2005 Express. 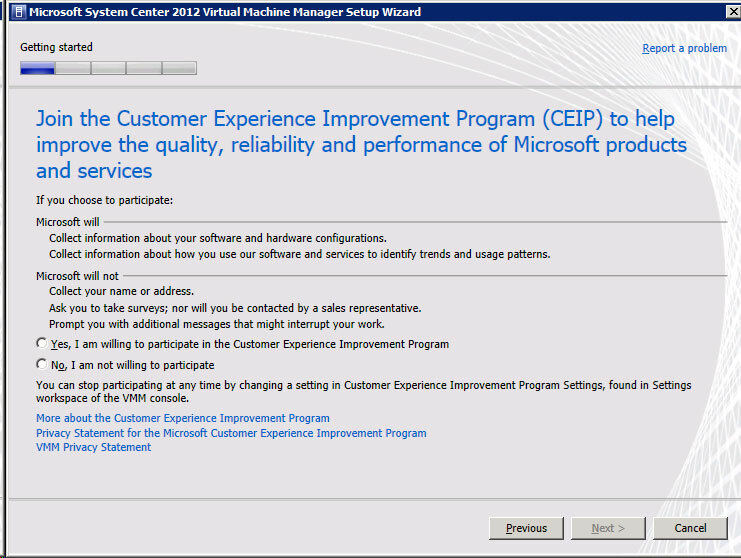 Upon running the setup.exe on the install media, the following screen appears…. 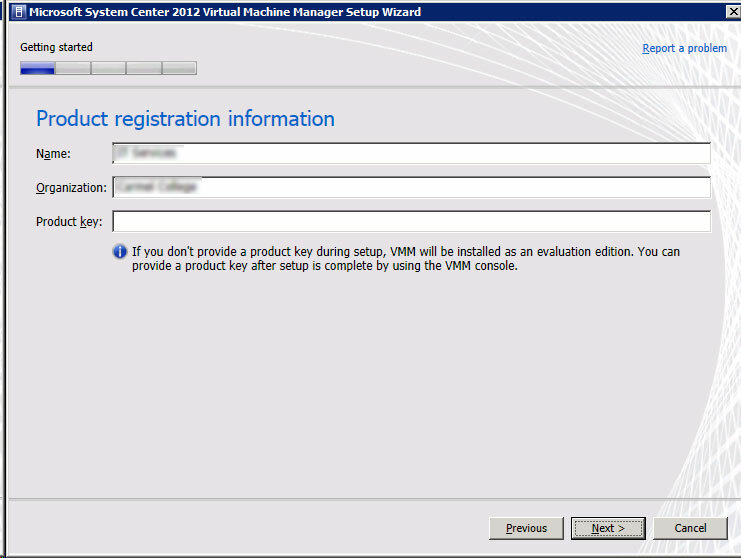 The installer detects there is a version of VMM already installed an asks if you want to upgrade. You are then told which features will be upgraded. Click Next. Input your Name and Organisation, then input your Product Key – you can copy and paste the Key this time! 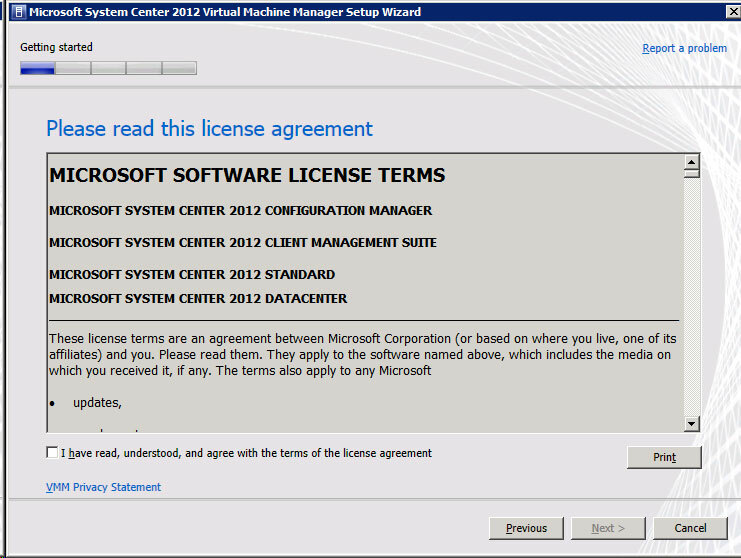 Tick to agree the License terms and click Next. Choose whether you want to participate in the CEIP. 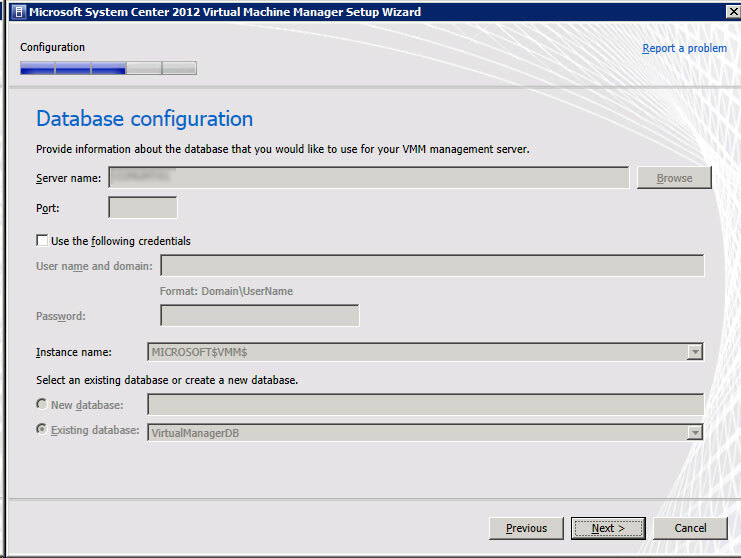 Enter the Database details on this screen. 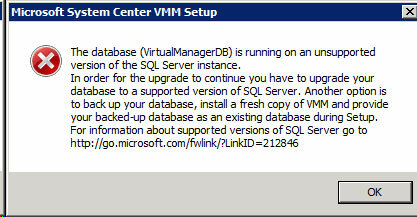 I then got this message because I was running SQL Express 2005! 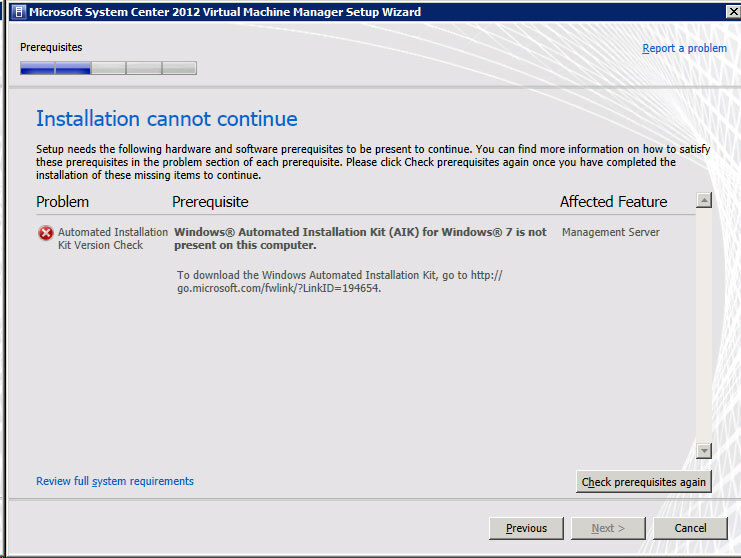 The only step I performed differently was to install SQL 2008R2 with a named instance of MICROSOFT$VMM$. Once this was done I re-started the install progress and performed all of the above steps – AGAIN! 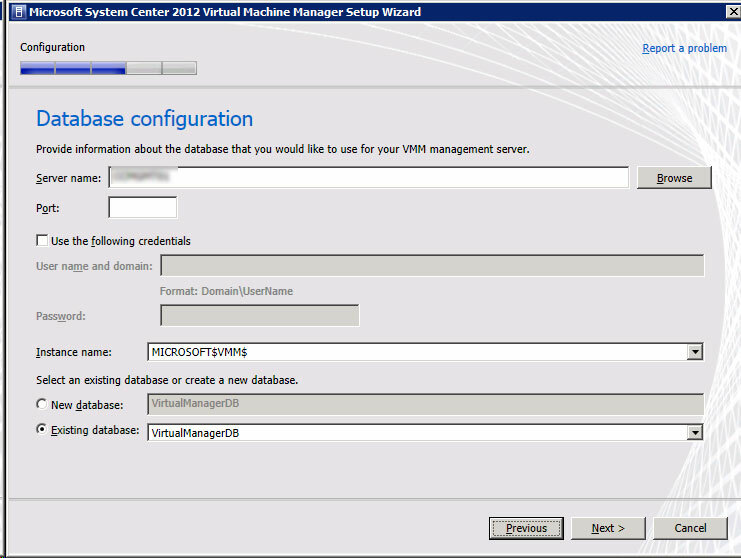 This time I selected the Server Name, the Instance name and selected the existing VirtualManagerDB. This next message was to inform me that the existing database would be upgraded. 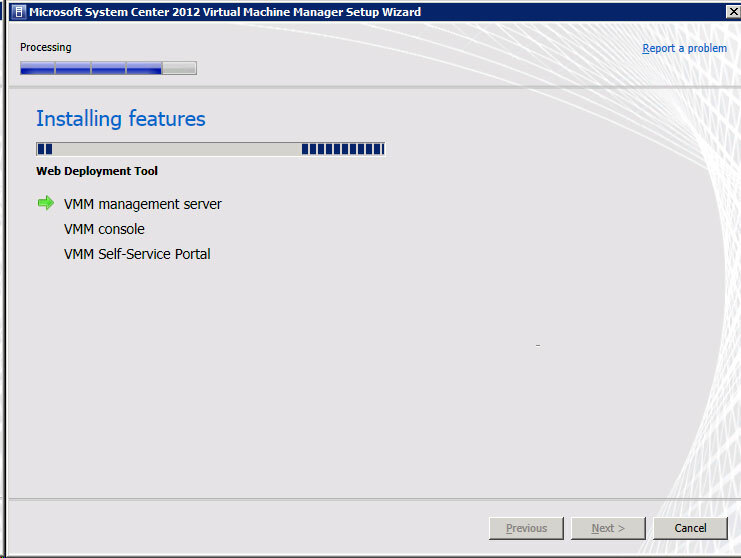 This next screen configures the Service Account, for HA you will need to use a domain account. 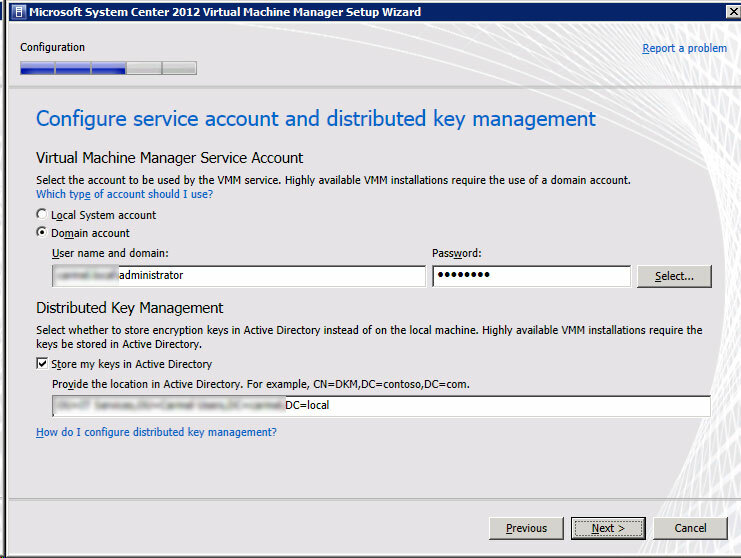 You can also store the encryption Keys in Active Directory, again for HA. 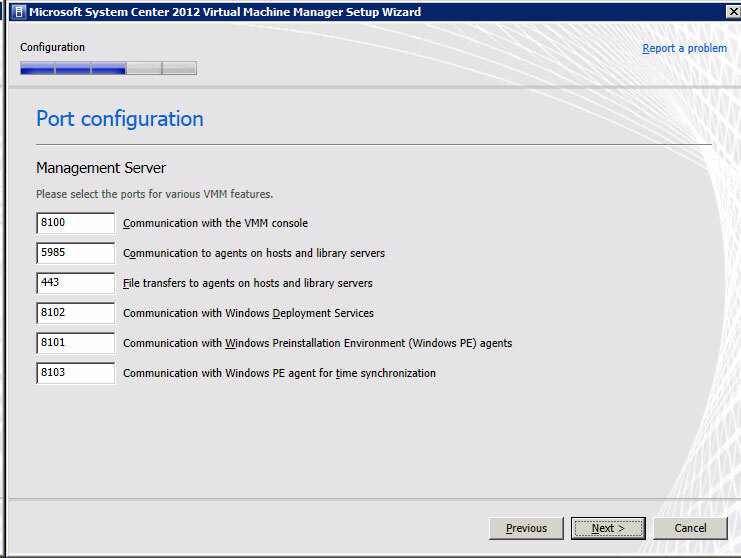 This screen sets the ports used for the various management functions. 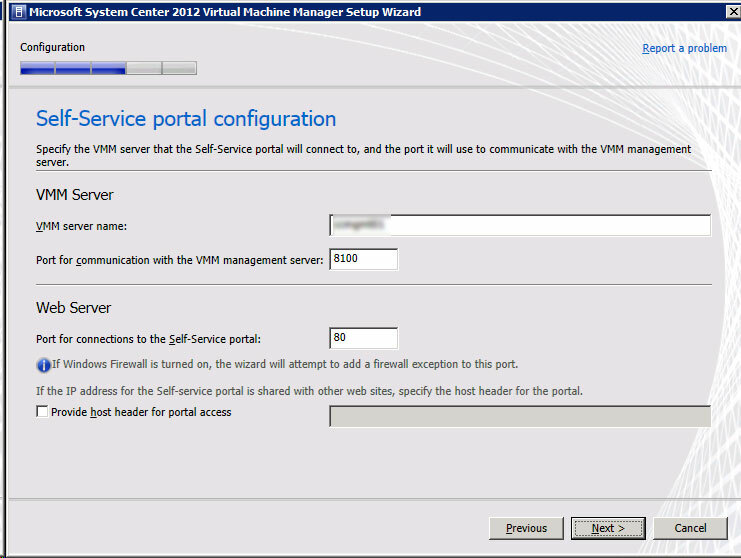 This screen will let you configure the self-service portal if it is to be installed / upgraded. We use the self-service portal to allow some of our departments the ability to start-up and shutdown some legacy servers. 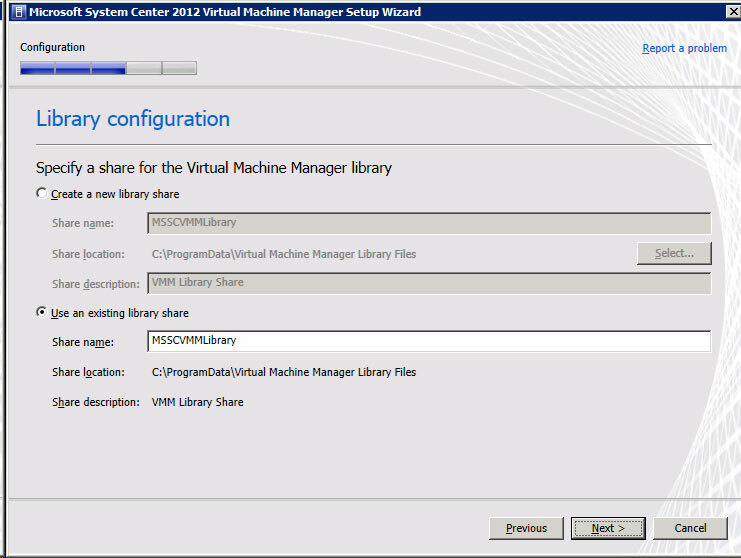 This next screen detects that there is an existing VMM Library and allows you to re-use it. The important things in here for me were to check the template configurations. 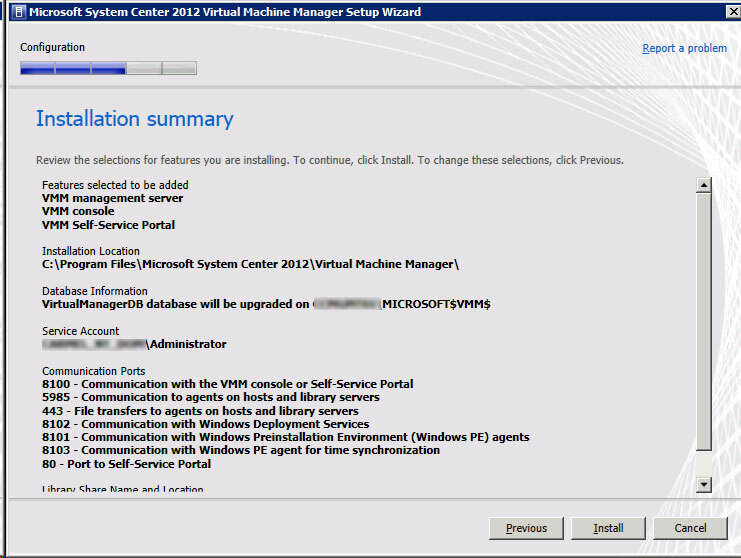 This next screen is an Installation Summary detailing the upgrade process. The installation is then carried out. 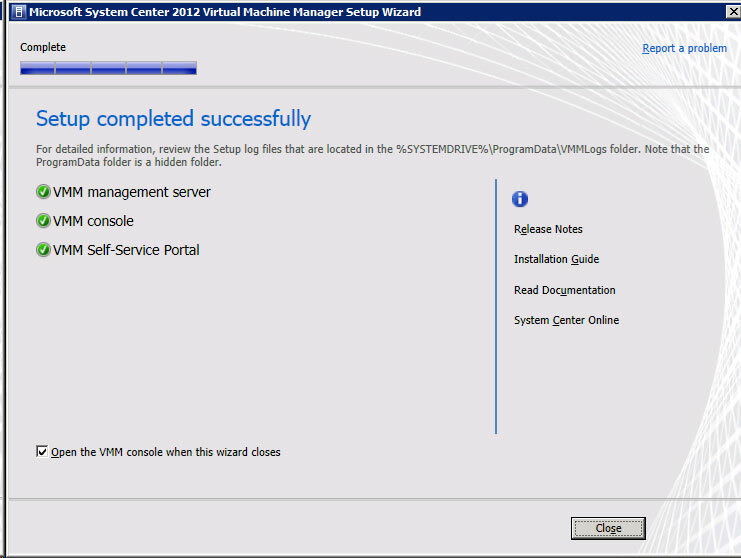 Once the upgrade is complete you can tick to open the VMM console straight away and check your VM’s, Hosts and templates and all associated settings. 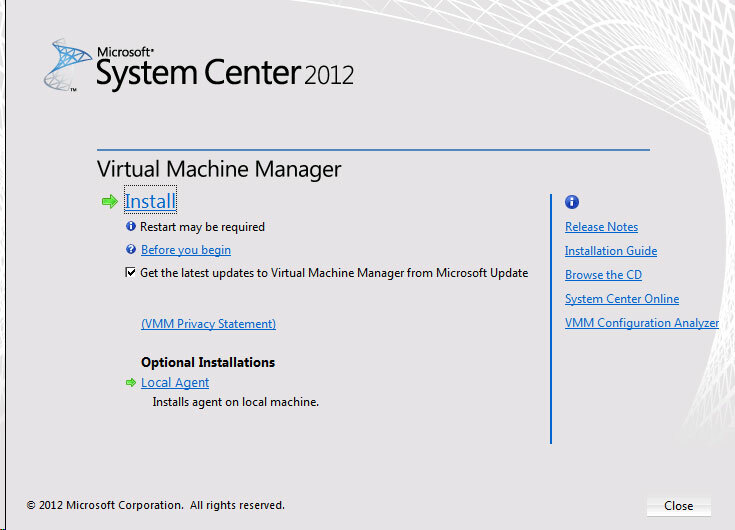 Detailing What’s New in VMM 2012. 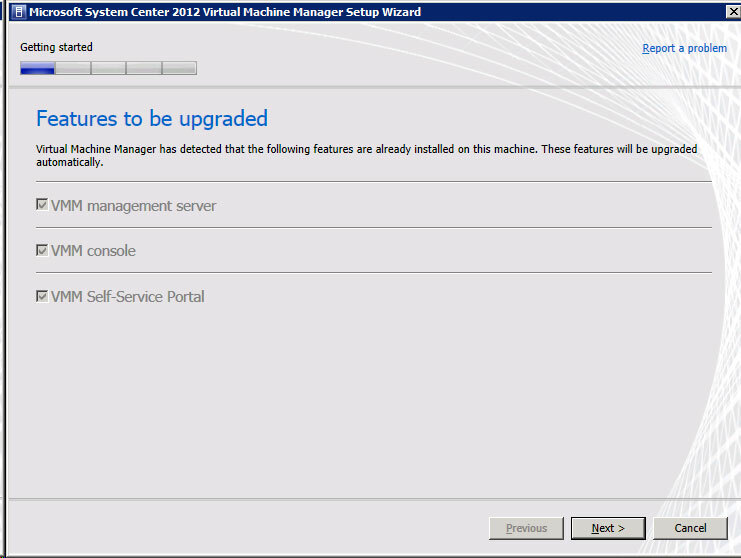 All in all another fairly straightforward upgrade, apart from the SQL Server upgrade.